Practice flying your drone when the weather condition is windy or raining outdoors. To be fair, many drone flight simulators fit very well into multiple categories. Which drone flight simulator is right for you? Which drone flight simulator you choose should be dependent on what you intend to do with it. Do you want to practice controlling your camera drone? – You want a simulator to acquire good flight control and camera control skills. – You want to practice making smooth turns and avoid jerky movements. Do you want to practice controlling your racing drone? – You want to develop exceptional control, and ability to make fast turns. – You want to anticipate needs for changes in direction and speed. Do you want a flight simulator with a controller or one without a controller? What to consider before you buy a drone simulator? First person view (FPV) vs. Gimbal Camera. 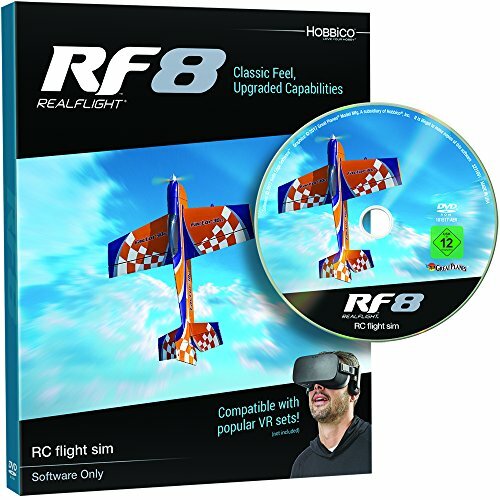 Simulators that are FPV or have an FPV mode are better suited to practice racing. Some simulators offer both FPV and Gimbal camera modes. Quadcopter vs RC fixed wing (or both). Some simulators offer simulation of several types of aircraft. Practice vs. Entertainment. If you are looking for some light entertainment or a good way to kill some time, look at the drone simulator games. 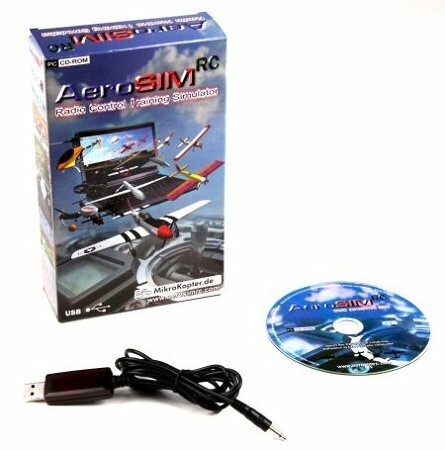 Drone simulator with a controller or without a controller? If you already have a quadcopter ground controller, many simulators will allow you interface the existing ground controller via a connector PCTx USB interface. This feature gives an even more realistic feel to the simulator. What to learn before you start using a simulator? 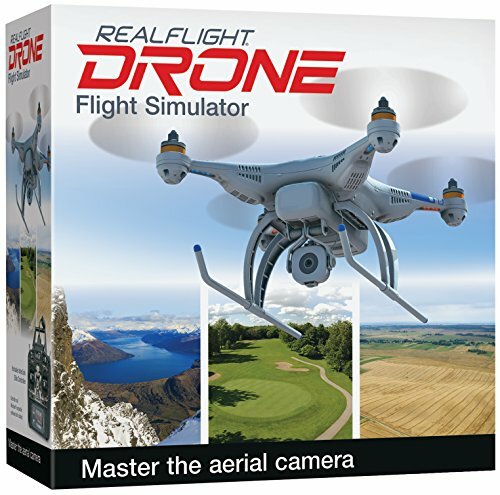 This RealFlight Drone RC Flight Simulator is a great choice for any drone enthusiasts who wants to reduce the risk of crashing your camera drone investment. It is designed especially for an aerial photographer who wants to master aerial photography skills from the drone’s point of view. This simulator provides fast and safe ways to learn how to maneuver a drone, FPV camera, and gimbal mounted camera control. Twenty environments are available with this model. Frankly, I was ok with 5 when that was all that I could get. If you get bored easily, then you might want to look at the next model – the RF8 has 40 environments. The Interlink-X interface is intuitive – low learning curve. Compatible FM or FM-selectable transmitter (if using the interface mode). Note: The InterLink-X cord and included adapters make the InterLink-X compatible with the trainer jacks on most Futaba and all Tower Hobbbies, JR, and Spektrum systems. This RF-8 model gets all the realism, beautiful photographic detail and great simulation of the physics involved in flying. Real joy stick controls makes it feel just like you are in the field. Simulates many specific flying sites. It has adjustable wind settings direction and speed. Quadcopter pilot who wants to practice even in bad weather; drone pilot who wants to polish aerial photography skills. Requires Interlink controller or other other controller you happen to have. Platform: Requires controller and Windows Vista, 7, 8 or Windows 10 to run. Administrator access required. Intel Pentium 1. 0 ghz or equivalent 512 mb ram10 gb hard drive space, dvd drive, 3d accelerated, Video with: 32 MB Dedicated Video Memory. Upgraded drone racing physics. Simulation of real physics make RealFlight simulators have lifelike experience than with competitors. The simulation programs perform thousands of calculations every second to provide the realistic experience. 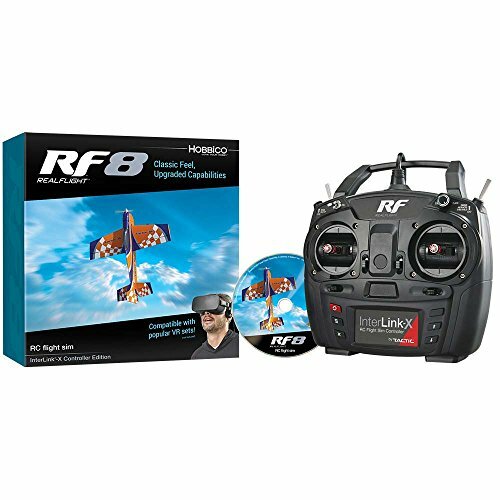 If you have a VR headset, then the immersive experience of flying as if you are inside in the quadcopter will be available to you. Over 40 3D sites are included. A favorite site included is the FPV Airport site. Editing and importing custom aircraft are included allowing you to build and import more complex 3D models. Does not come with a ground controller, you must use a controller that you already have, or buy one separately. Requires: You must buy your own transmitter. Can run in 512MB RAM. 32 MB Graphics. AeroSIM is a training tool to help new drone pilots hone their flying skills without risking valuable equipment and time. This simulator is a useful tool to learn aerial photography, search and rescue, surveys, surveillance, construction project reporting. Compatible controllers can often be directly connected via the mono jack (exceptions noted – sometimes an additional adapter is required).